Wimberley Medical Plaza - Sabre Commercial, Inc. This new two story medical office building included the finish out of the first and second floor lobbies. A mix of steel and wood construction, the first floor was composed of all steel and concrete and contained a wooden roof structure. The project included the installation of a 15,000 gallon rainwater collection cistern on an elevated platform in the detention pond. 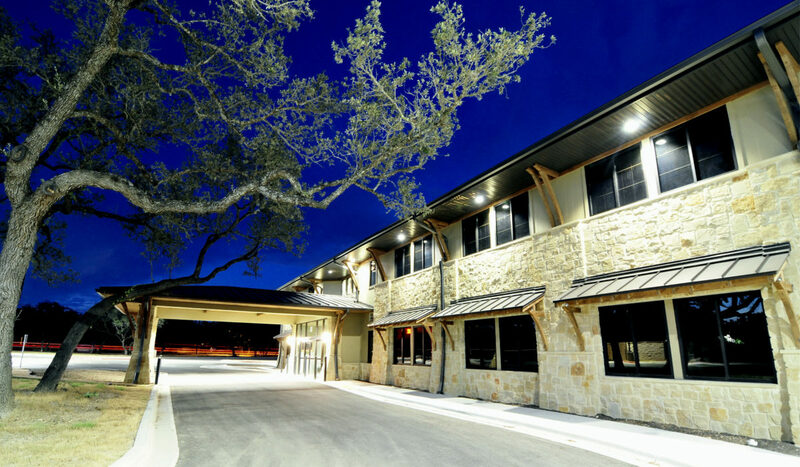 We completed the Central Texas Medical Center build-out within concurrent with the shell build-out.